Ninja Ross sure likes Halloween. 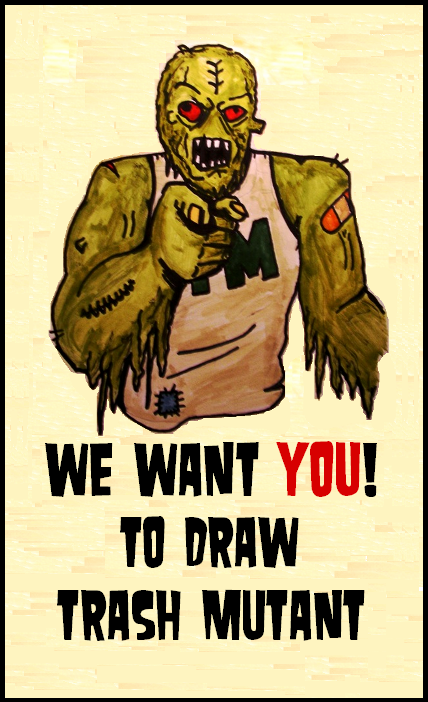 As Trash Mutant's resident horror expert, he's been providing all sorts of horror-related articles throughout October. You've already seen 5 Horror Games to Play This Month, so this time he brings you a list of 5 horror comics to read in order to get into that Halloween mood. Any self-respecting horror fan should be familiar with these comics. Check them out! My favourite horrors tend to be set in isolated environments. The Thing, for example. There’s no escape from that environment. So, naturally, horrors set in a prison are going to interest me. Welcome to Hoxford is a four-issue mini series written and drawn by Ben Templesmith who, in my opinion, is the best horror artist around. The book follows a slightly insane convict who’s sent to one of the nastiest prisons in America to stay with the nastiest prisoners. And then... Werewolves! These monsters are rarely done right. They often look terrible, but in this book, Templesmith gives them a rat-like quality and bloated stomachs that make them seem horrifying. As some know, Hellblazer is my favourite comic books of all time. But not one of the best horrors. But, some of the stories do fall under the banner of “great horror” and All His Engines, by Mike Carey & Leonardo Manco, is one of them. Released at the same time as the Constantine movie (starring Keanu Reeves), this story is probably one of the best for those who don’t know much, if anything, about John Constantine (the hero of the book). John must figure out why thousands of people, including his best friend’s granddaughter, have been put into a mysterious coma. Throw in some demons and some very moody art and you have a horror story with a great atmosphere. Picture Raymond Chandler’s Marlowe. Now picture Marlowe taking obscene amounts of drugs and investigating supernatural murders. Got that picture? That's Cal McDonald from Criminal Macabre. Supernatural Freak Machine, Cell Block 666 and Two Red Eyes are probably the best stories in the series but they’re all pretty darn amazing. This is Steve Niles on top form and the art, mostly from Ben Templesmith and Kyle Hotz, really captures the horror noir aspect. But it’s great, all the same. It’s easy to think of him as the American John Constantine, but Cal takes a more head on approach, preferring to blow heads off with shotgun than trick bad guys into foiling their own plans. Hack/Slash is written by Tim Seeley with art from various horror masters like Skottie Young and Stefano Caselli. The only thing missing from this to make it horror perfection is a dead body delivered with each copy of every issue. But that’s a lot of dead bodies. This book is both funny and has some great horror. It takes the cliché’s of Slasher Horrors (the half naked women, the falling over, the slasher himself) and puts reason, logic and background to it. Hack/Slash explores how and why slashers are revived so often and what is behind the whole thing. It also makes the classic virgin sole survivor the hero. The hero who wears very little, of course. Which makes her both the bait and the pure survivor. This book is not only a blast to read but it does a great job of challenging the horror genre and its stereotypes. Plus, the monster side kick, Vlad is an incredibly fun, yet depressing, character. I’d suggest reading this any time of the year. This is that OTHER book by Steve Niles that I mentioned. Come on, I’m a huge Steve Niles fan! Who said this article wasn’t going to be biased?!? But my love of Mr Niles is there for a reason. This man knows horror. He knows what he’s doing! And this is probably that last time in the last 10-15 years that vampires have been scary. Imagine this: what would happen if vampires had a full month of night? That’s a question Steve Niles asked in this magnificent book. The horror is pure and simple. It’s, honestly, one of the best horror ideas to ever happen. It’s creative and simple AT THE SAME TIME! How many authors can do that? 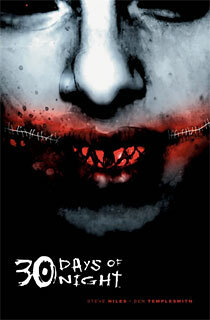 Plus, of course, Ben Templesmith provides the art. That’s always a plus. And there you have it, horror fans! A list of comics to read for Halloween! Do you agree with this list? Did you read the books mentioned? What would you add to it? Sound off in the comments!